In July 2017, the Peform a + program ended. 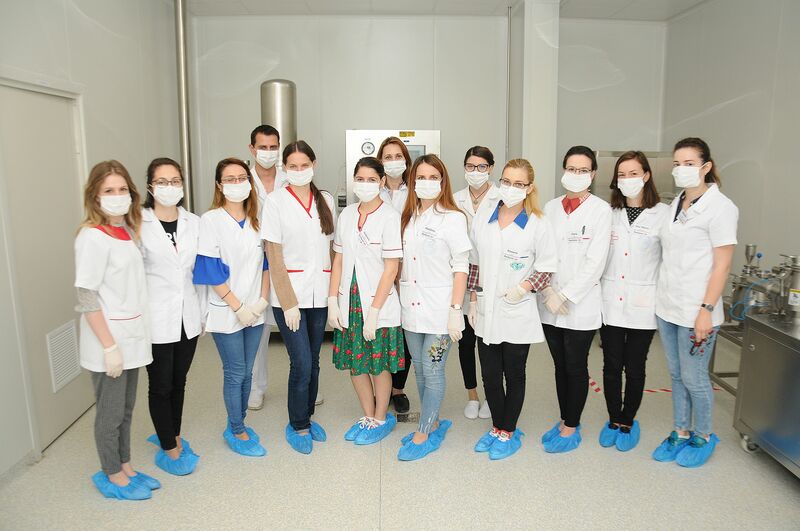 The nine participants (students and intern pharmacists of the University of Medicine and Pharmacy in Iași) under the guidance of Antibiotice mentors undertook activities specific to the pharmaceutical industry. 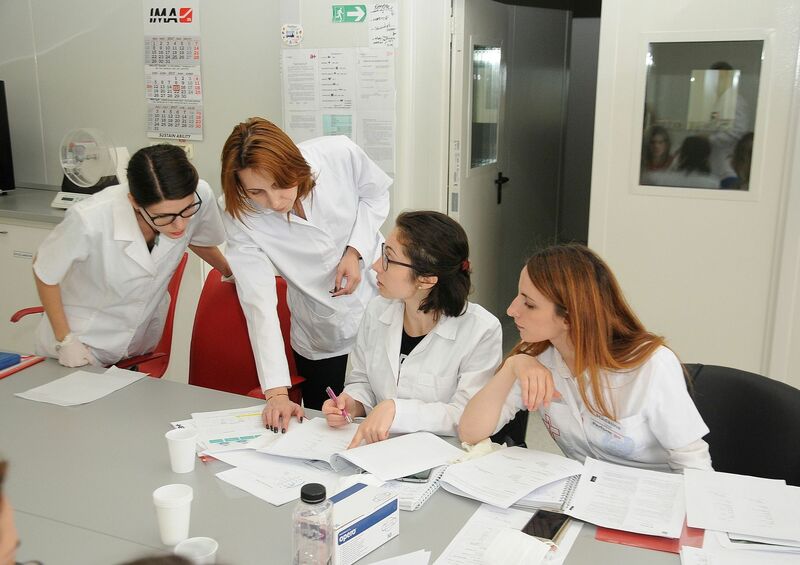 After the seven weeks of lectures, theory and practical applications, each participant presented in front of colleagues and representatives of Antibiotice, the graduation project needed to complete the “Perform a +” program. 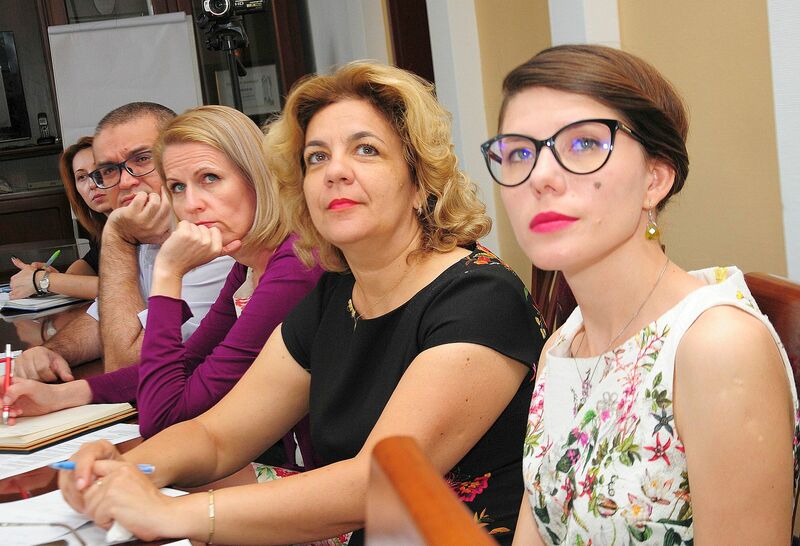 Projects were entitled “The formulation of a food supplement” (composition, motivation of the proposed composition, phases of development, the necessary technology, particular aspects of the project). 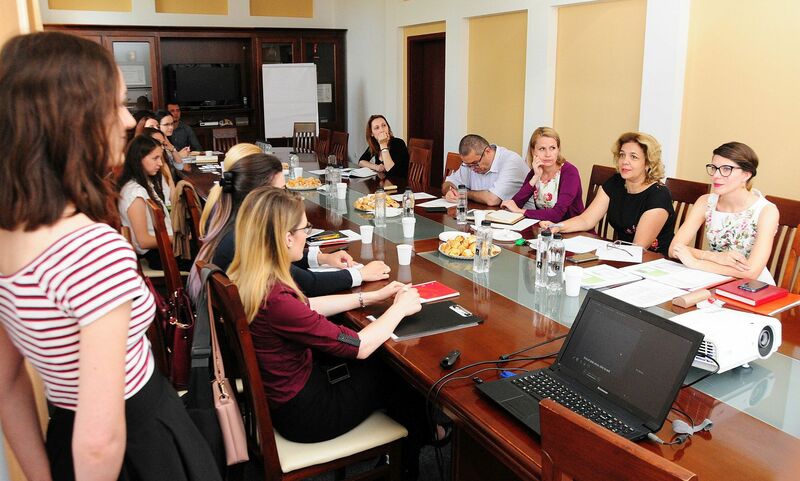 The projects presented included the information acquired by the participants during the training period about the formulation of a tablet or a capsule, being also based on their creativity in selecting ingredients. 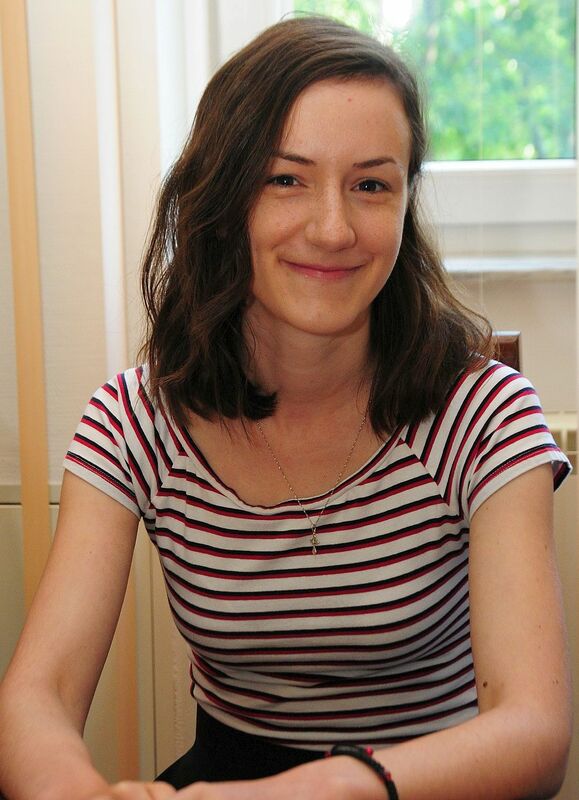 Following the evaluation, the highest score was given to the project submitted by Mihaela Paraschiv, a student in the 5th year at the Faculty of Pharmacy within UMF Iasi. “The Perform a + project triggered my professional curiosity at the right time. In the labs (practical seminars) I attended during my studies I found out only what an open circuit pharmacy is, not what it actually means to be a pharmacist working in this industry. The industry seemed difficult to approach, requiring a Pharmacy student to leave his/her comfort zone. 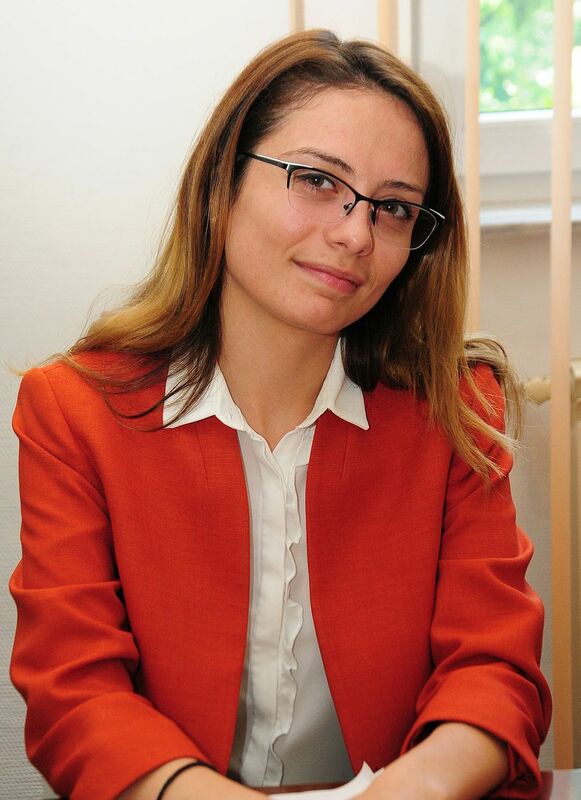 It’s probably what attracted me, the fact that the experience promised to be a memorable one,” said Mihaela Paraschiv. 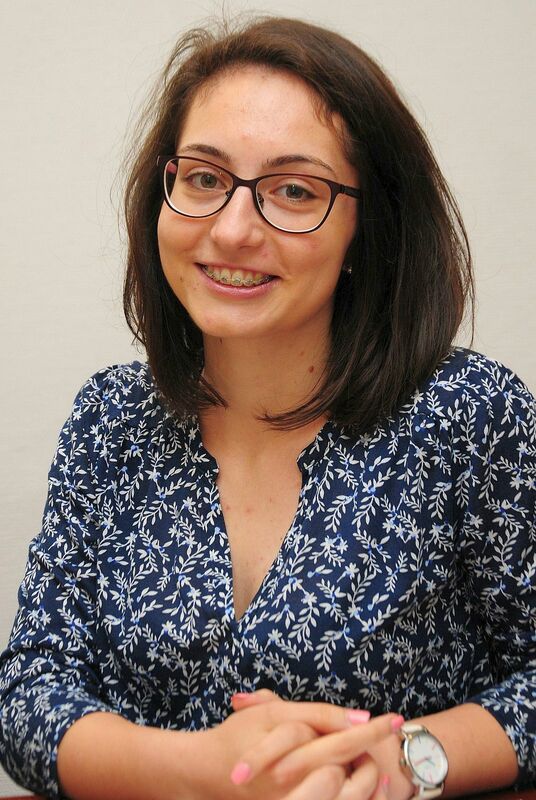 “As a result of this program, I realized that I would very much like to work in the pharmaceutical industry, and the people I met at Antibiotice are an extraordinary team. Project coordinators have been very receptive to us, have given us advice, have always answered our questions, and challenged us to find explanations on our own. I think this area would bring me professional satisfaction. 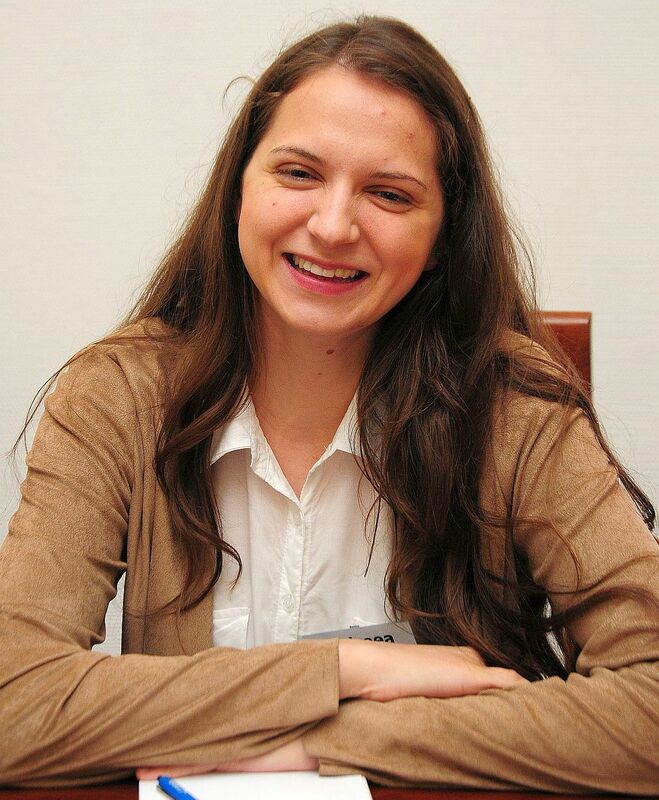 I am very happy to have had the opportunity to participate in Perform a+, it was a unique experience,” added Mihaela Paraschiv, the student who obtained the best score. 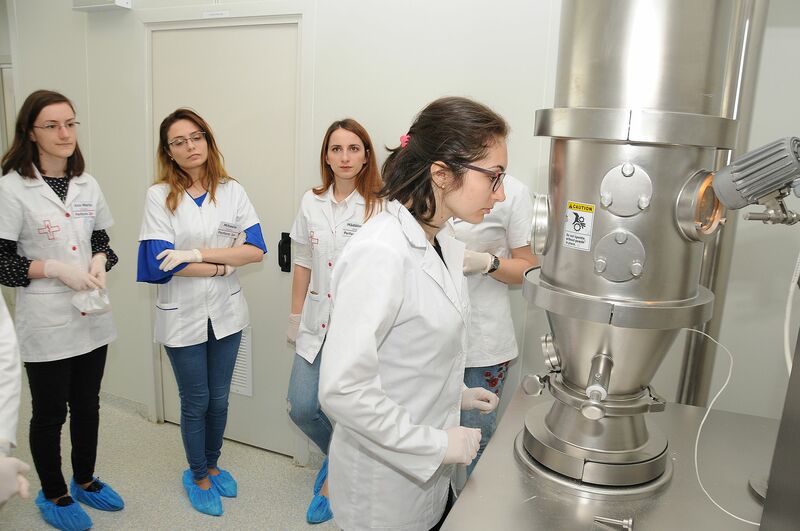 “We wanted the Antibiotice experience to be an incentive for participants to become researchers in a company producing generic drugs. 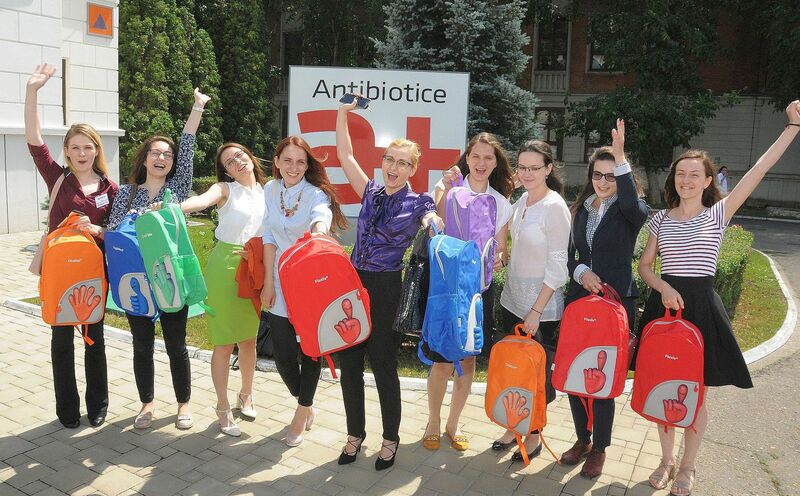 Antibiotice has created this practice program with the specific aim of identifying young students with an inclination towards research and Regulatory Affairs, to draw them in our team for long-term collaboration, ” said Mihaela Moşneguţu, Medical Director. 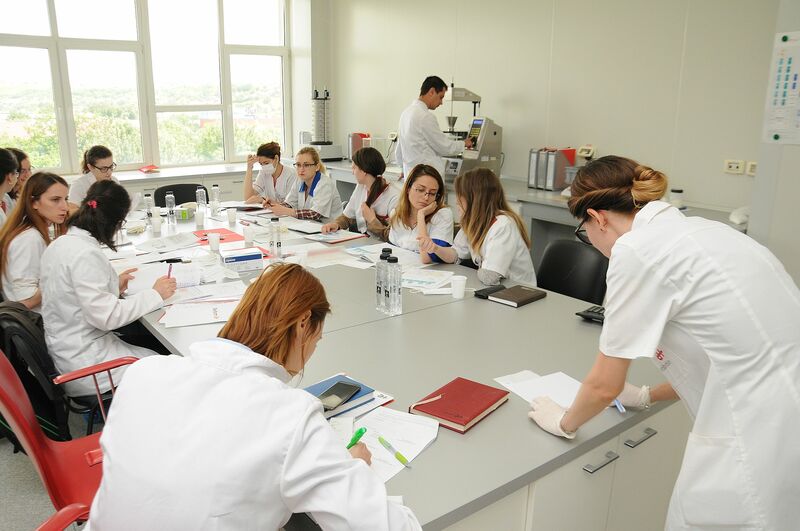 Perform a + has shown once again that Antibiotice, through its specialists, the equipment of its laboratories, through science, skill and consistency has the ability to attract and inspire younger generations. 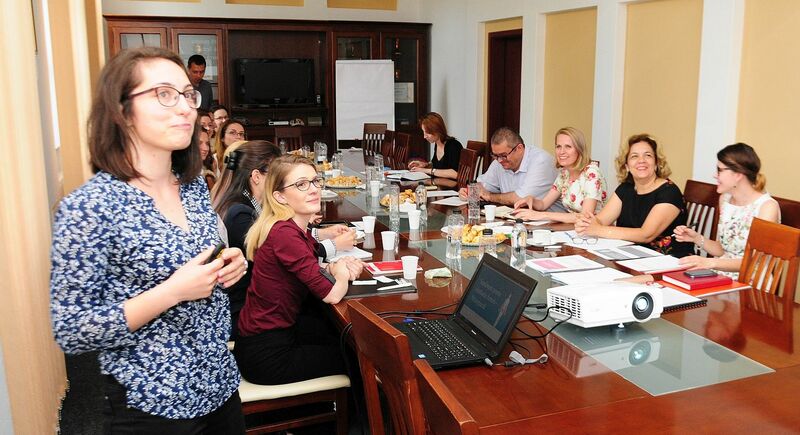 After this experience students want to join the company in the field of research and development. Certainly, Perform a + was up to my expectations. I wanted to find out what a pharmacist working in the industry does, what the Development & Research department does exactly, and during the project I learned a lot of new things which gave me an overview of this sector. I mostly liked that we managed to develop a new pharmaceutical form. We have learned to consider the excipients, the quantities, the method of preparation, which seemed challenging for me. At the same time, we have learned not to let ourselves be discouraged by failure and always try to solve the problems that come up. After this experience, we will certainly look at medicines and food supplements differently, and I’m aware of how much work lies behind quality, safe and effective products. It’s more than that! From my point of view, the training was active, motivating, captivating as well as a period for self-discovery. 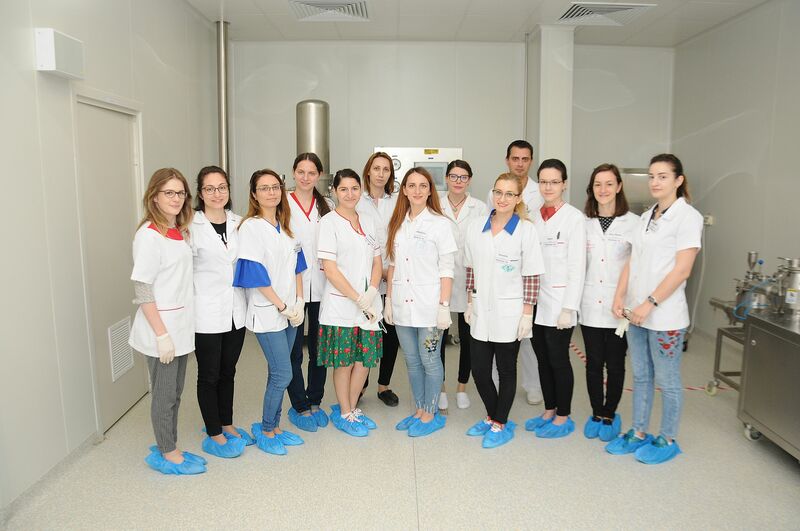 On the occasion of this project, I had the opportunity to discover new and different aspects of what a pharmacist is supposed to do. I discovered true professionalism behind the pharmaceutical production and I’d like to be a part of this team. The Perform a + program was a beautiful experience. I’m glad I had a chance to participate, and I can say that it’s up to my expectations. Following the Perform a + program, I think everything that seemed useless at school now makes sense because I’ve seen their practical use. I am very excited to have taken part in the Perform A + project! I have deepened the theoretical notions learnt in college, I have seen with my own eyes how much work is being done to complete a pharmaceutical product and how many people collaborate to make things as good as possible. I really liked the idea of ​​making a tablet from scratch, thinking about all aspects important for the formulation and actually seeing the outcome of our ideas. I like the idea of ​​starting a project from scratch, studying the market and conceiving the specific product that the patient wants. Moreover, it seems to me a real challenge to work for the Research and Pharmaceutical Development, and the joy of seeing your product on the market must really be an enormous satisfaction! It was really enjoyable for me to apply and then participate in what I now call the “must do” of Pharmacy students. The Perform a + program has given me the context to understand what “research” is and what it means within a pharmaceutical company. It put me in touch with passionate people, people who are patient, who have a pedagogical spirit and the desire to share their knowledge with us. 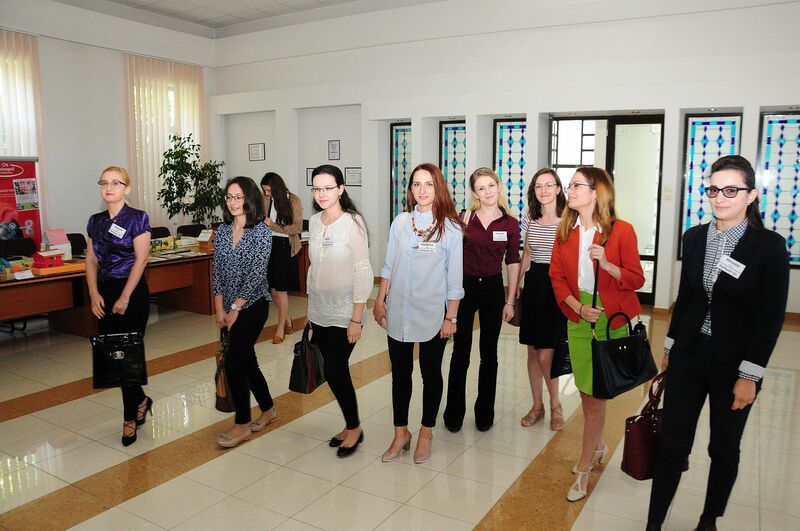 After each meeting I left motivated to apply what I learned in the project I had to prepare. I’m convinced that after becoming a Pharmacist I will choose the path of the pharmaceutical industry. Thanks to this program we got more insight into formulation and theoretical notions have materialized in a very pleasant way. Yes, the course was conducted at a high level and I am glad to have participated because I only had to gain from this experience. This program is a real opportunity because it’s probably the only one where we can finally approach the hands-on, practical part of what we have learnt at university. All in all, the program deserves a straight 10 and to you, the team of professionals, my warmest congratulations! Yes, thanks to this program I now have a bird-eye view on conceiving a medicinal product, and implicitly have more respect for the entire process. There is certainly a lot to learn, but the time spent on this program was very useful because I understood that formulation was not as simple as I imagined, but it was rather a laborious, difficult process. It’s also a creative process which also takes into account several possibilities. It helped me understand the design of a pharmaceutical product, from A to Z. From my point of view, the program has met my expectations because we have seen several aspects involved in conceiving a generic drug. Perform a + is a practical program intended for last-year students and graduates. 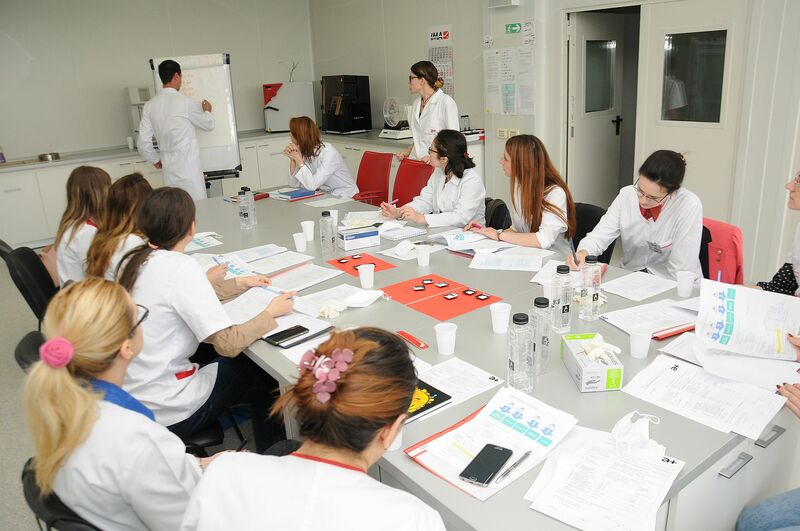 Carried out in collaboration with the University of Medicine and Pharmacy and Alexandru Ioan Cuza University, the program aims at identifying and attracting students and graduates with various backgrounds, relevant for the pharmaceutical industry.